Shire 7 x 7 Larkspur Corner Summerhouse: The Larkspur Corner from Shire is a new design, incorporating an overhanging roof, alongside innovative space saving corners. 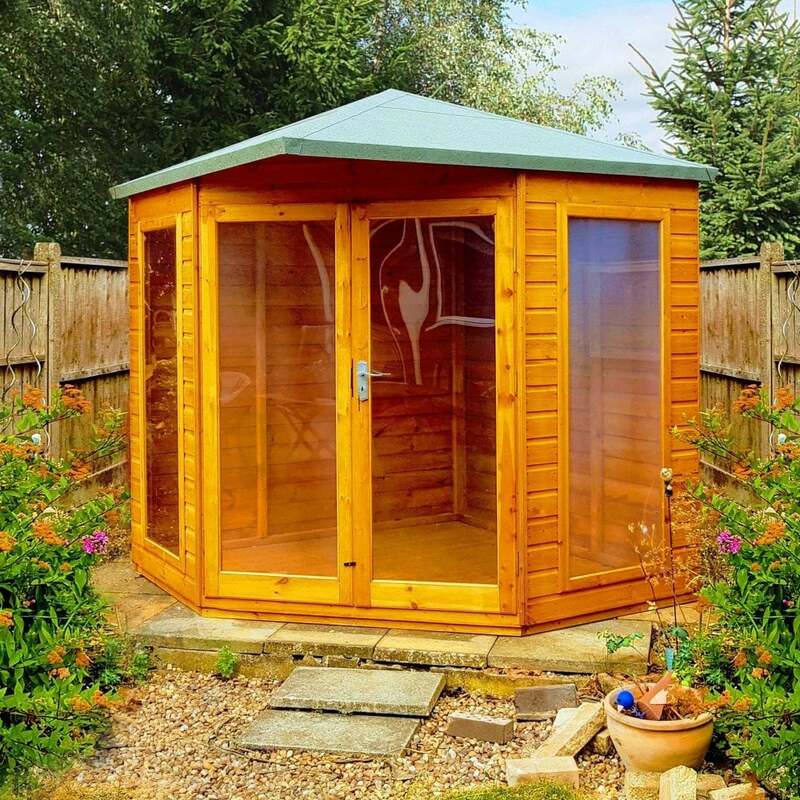 This Summerhouse is ideal for the warmer months, and provides the perfect relaxation space. The building is constructed from tongue and groove timber which is 12mm thick. 44 x 44mm framing adds rigidity and strength to the building. The 7 x 7 Larkspur has double doors, secured with a mortise lock and key. Two side windows and full length windows on the doors allow plenty of natural light to enter.